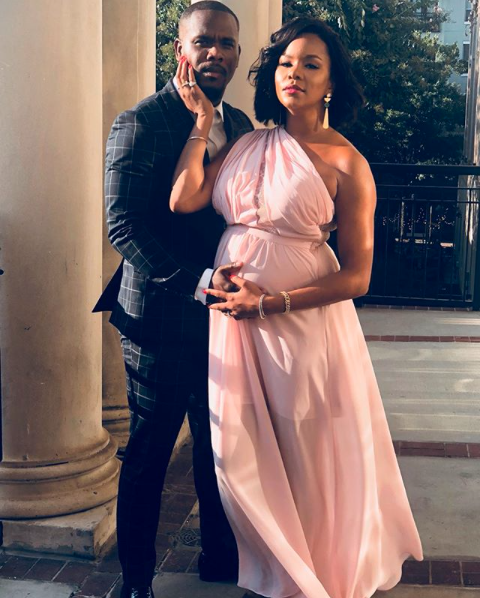 LeToya Luckett is basking in her journey towards motherhood beautifully and of course, her husband, Tommicus Walker is right by her side every step of the way. The husband and wife–plus the singer’s beautifully growing baby bump–dressed up in the name of love to attend a wedding over the weekend and they slayed! For the date night to celebrate the union of another couple, the Mr. and Mrs. posed for perfect selfies and hit the dance floor to jam the night away. The former Destiny’s Child singer announced she and her hubby’s first pregnancy in June with the help of his daughter from a previous relationship, Madison. The Walkers wed in December 2017 and ever since, have been two super cute lovebirds.